Dubai has many attractions for tourists, which is the reason why people from all over the world visit Dubai to enjoy holidays and have a great time. Dubai has exhibitions like the Bride Show and Dubai Shopping Festival. Some parks and zoos in Dubai are Mushrif Park and the Dubai Zoo. Dubai has many libraries, museums, stadiums, sports centers, beaches, entertainment spots, mosques and shopping malls. The top 10 tourist attractions in Dubai are as follows. Dolphin Bay is a dolphin habitat, which is very big in size. People of all ages can go near the dolphins and interact with them. Visitors can do swimming. People love to do scuba diving with the dolphins. You can also visit the Aquaventure water park in the Dolphin Bay area. Burj Al Arab looks like a billowing sail. It is a 321 meters high 7 star luxury hotel. Choreographed lights illuminate the building at night. You can click photos near the building. One of the best views for taking photos is the Burj and the nearby beach. Dubai Museum was a fort in earlier times and was used to protect from foreign invasion. At present, this museum displays articles of heritage and culture. At the entrance, there is old maps collection. The museum has artifacts collected from graves. The museum has displays of weapons and musical instruments. 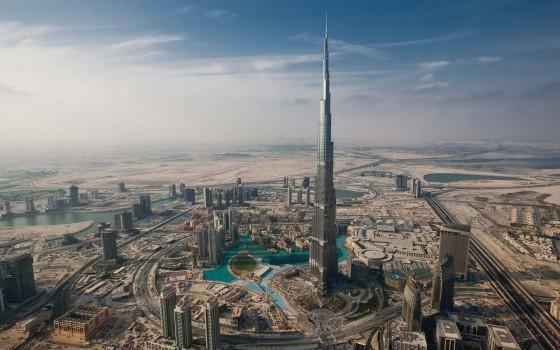 Burj Khalifa is an architectural building with many hotels, shops and entertainment spots near it. You can enjoy sightseeing in this area in outdoor observation deck, which is situated in the one hundred and twenty fourth floor of the building. The deck has a telescope, through which you can see the surrounding area. Ski Dubai is a place where you can do indoor skiing. This ski resort has an indoor mountain. The skiers climb the mountain on lift. The snow park in this area has sled and icy slide. This area has snowballs and ice caves. There are climbing towers here. The Dubai Fountains is situated near the Burj Khalifa Lake. Water jets come out of the fountain and reach up to a height of 500 ft. The fountain structure consists of 5 circles and 2 arcs in the center. The fountain has wet superlight and projectors. Dubai Dolphinarium is a place where you can see dolphins and seals. It is an indoor dolphinarium, where people can watch dolphins, go near them, and interact with them. The doplhinarium organizes live shows. You can click photos with the dolphins. Emirates Tower is an architectural building that has office tower and hotel. The Boulevard retail building connects the two towers of the Emirates Tower. This building has many high-end boutiques. The hotel in the tower has excellent service. Visitors enjoy the glass lift ride in the tower. Palm Island is an ideal place where you can enjoy holidays. The island has hotels and shopping malls. This place is good for relaxing and entertainment. The sunset view on the island is spectacular. There are spas and pools here. You can visit the gardens, aquariums, beaches and theme parks here. If you want to see artificial island created by land reclamation, you must visit the Palm Jumeirah. It is a type of palm islands. The island is shaped like a palm tree. The shape of this island includes parts of palm tree like trunk and fronds. The island has many hotels, villas, apartments, retail outlets and marinas. Plan a trip to Dubai and spend your vacations in the above top 10 tourist attractions in Dubai.